Website of the world's leading manufacturer of precision-cut crystals for every country in the world. 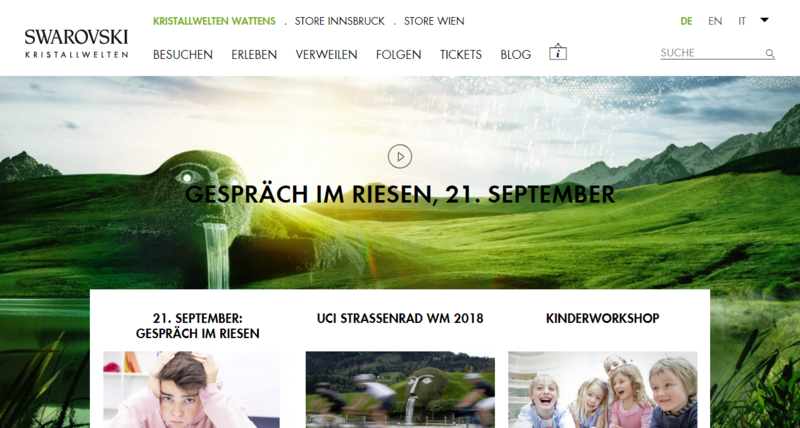 Interactive point of reference for one of Austria’s most popular tourist attractions. This uses a Gentics portal solution featuring diverse services for the registration and administration of professional partners. For more than 100 years the Swarovski brand has been synonymous with the spirit of invention, poetry and trendsetting crystal technology. The systematic development of its unparalleled competence in cutting makes Swarovski a leading manufacturer of cut crystal as well as of natural and artificial precious stones. Since its foundation in Wattens, Austria in 1895, Swarovski has operated as an independent family-run enterprise. Swarovski Group employs around 24,800 people in more than 120 countries of the world. In the course of its history, Swarovski has developed numerous innovations and inspired trends in areas such as jewellery, fashion, accessories, lighting, interior design and culture as well as in research and development. Swarovski Group has also established three independent brands: Tyrolit® produces cutting and grinding tools, Swareflex produces reflectors for road traffic, and Swarovski Optik produces high-precision optical devices. In 2006 Swarovski opted for Gentics products and since then has relied on us for numerous internet projects and its intranet. Since 2008 Gentics has been Swarovski's "strategic technology partner". Outstanding projects are presented on the central intranet portal, which is used on a global basis, is designed for internal employee information and has been highly personalised using portal technology. 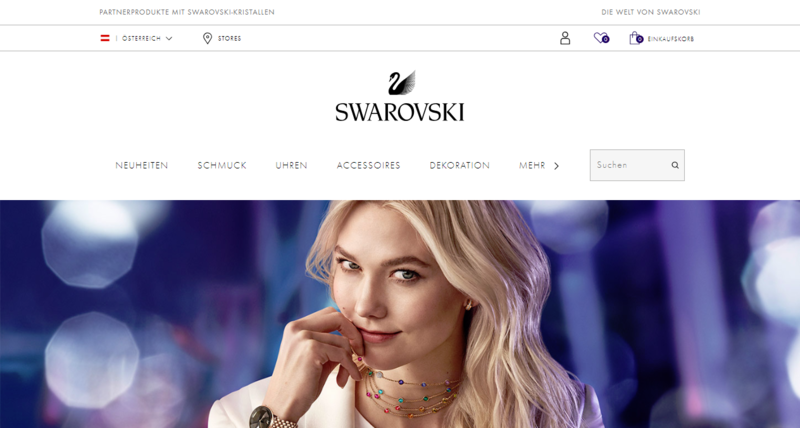 In addition to the numerous internet communication platforms, Swarovski's B2C online store is supplied with editorial content from the Gentics CMS. "With Gentics we have found a competent partner whose products form a reliable technical foundation of the numerous Swarovski websites. 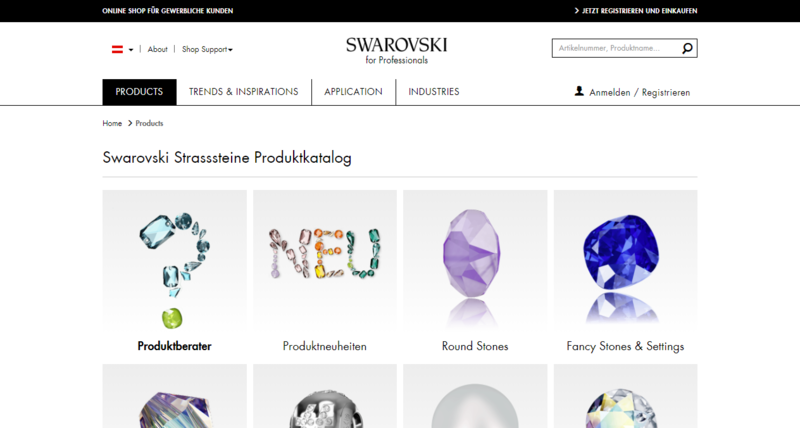 The clearly structured organisation of Gentics Content.Node and Gentics Portal.Node enable Swarovski to quickly carry out its web projects. This strengthens both the internal communication in our company and external communication with our clients and partners".